25% of proceeds of the sale of this book go to No Kid Hungry. NOTE: We are only able to ship this book within the United States. 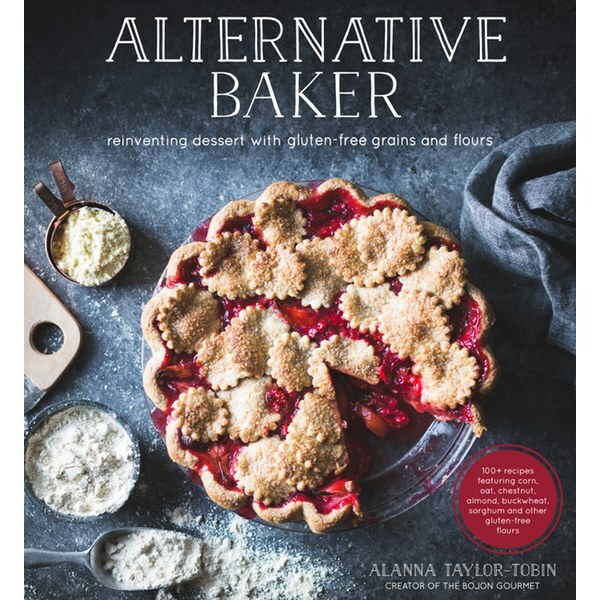 If you can’t get enough of the phenomenal baking of our pal and contributor Alanna Taylor-Tobin, you definitely need her book Alternative Baker: Reinventing Dessert with Gluten-Free Grains and Flours. If you’ve tried her recipes (featured in every issue of GFF) you have an idea of just how delicious her exploration of alternative flours can be. If you haven’t, trust us: hers are the desserts you want to bring, gift, hoard, and worship whether you’re gluten-free or not. From pies to tarts to cakes, including dairy-free options, they’re truly that good–and they’re accompanied by equally inducing photos. For the bakers in your life, this is the perfect gift. And this is the only place online where you can order copies signed by Alanna!